In my years of experience with Windows, I have faced the app not responding error as one of the most common Windows problems. In most cases, a force stop or a quick reboot fixes the problem. In other cases, however, some apps may repeatedly stop responding whenever you use them. If you are dealing with such an app, I feel your pain. Not to worry though, usually, this error can be easily fixed with a bit of tinkering of the system. In today’s post, I am listing multiple solutions to apps not responding problem in Windows 10. Note: I’ll list most effective and easy to follow solutions first and then move to more complex or less effective ones. Do follow the sequence. Many times a simple clean boot has solved the app not responding issue for me. A clean boot ensures no startup app or service is conflicting with the not responding app. To clean boot Windows 10, press Windows + R keys and type msconfig in the Run dialog to open the System Configuration window. Here move to the Services tab and check the checkbox next to "Hide all Microsoft services" option. Afterward, click on the Disable all button to disable all the third-party services. Click OK to confirm the changes. 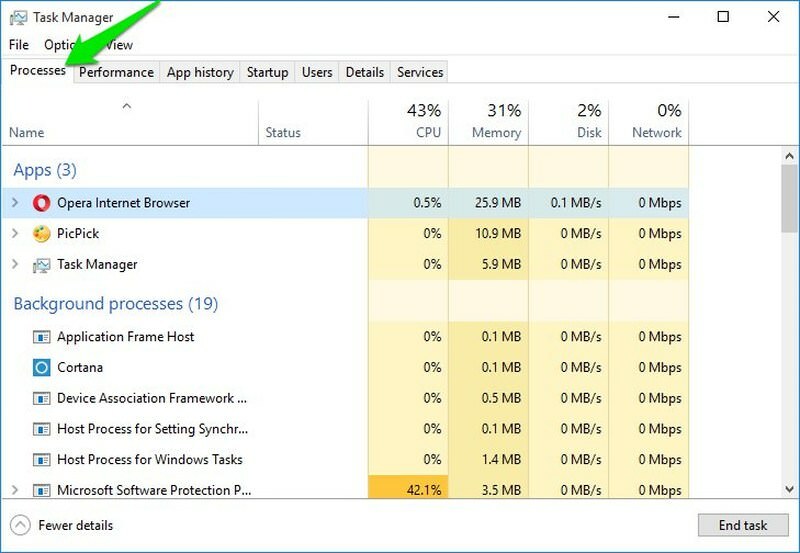 Now press Ctrl + Shift + Esc keys on your keyboard to open the Windows Task Manager and move to the Startup tab. You will see all the startup applications here. Simply click on each one of them and select Disable to disable all of these apps. Once all of these startup apps and services are disabled, restart the PC and see if the app is responding or not. 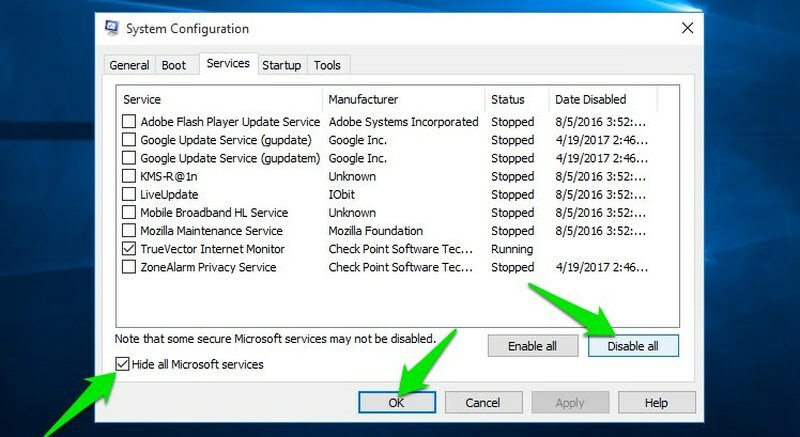 If it starts working, you may re-enable important startup apps and services one-by-one to see which one is conflicting so you can keep it disabled. If it is some heavy application like a video game or a video editing app, then app compatibility could be the issue. Simply visit the official page of the app and look for compatibility details (usually available on the download page). Afterwards, match the requirement of the app with your PC specs and see if it fulfills it. Your PC should at least fulfill the minimum requirement of the app. Following the steps mentioned above, you should close all other programs to ensure no other app is conflicting or eating up PC resources. Check the taskbar and make sure no other program is open. After that, press Ctrl + Shift + Esc to open Windows Task Manager. 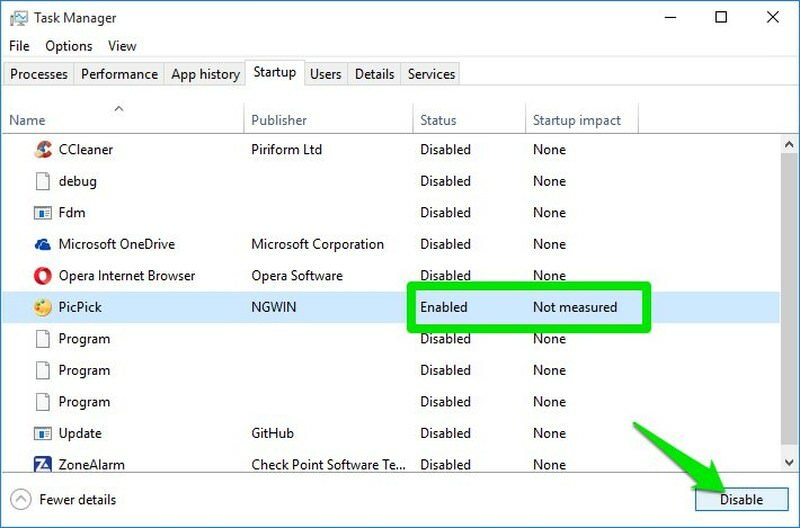 Here look through the Processes tab to ensure no unrequired apps are running. You can also look for background processes in the same tab to see if any unusual background process is running or not. There is also a chance that a corrupted system file may be forcing the app to not respond. You can run System File Checker (SFC) scan to look for corrupted or missing system files and automatically fix them (if possible). To run the scan, right-click on the Start menu icon and select Command prompt (Admin) from the list. In the Command prompt, enter the command sfc/scannow and hit enter. The scan will run and automatically fix problems if there were any. It may take 10-15 minutes for the scan to complete, so hold tight. If it fixes any problems, restart the PC and see if the app is working or not. Your system can create conflicts if it’s not up-to-date. Make sure both Windows and the app that isn’t responding is up-to-date. You can check the official site of the app to see if you have the latest version. Additionally, you should update your system drivers, in case the app depends on a specific hardware component (including video card driver). For updating drivers, I’ll recommend you to try a third-party driver update, such as Driver Booster. It can be quite a hassle to check each driver manually and update it. A driver updater will automatically find all the outdated or corrupted drivers and fix them. If you want to do it manually press Windows + R keys and type devmgmt.msc in the Run dialog to open the Device Manager. 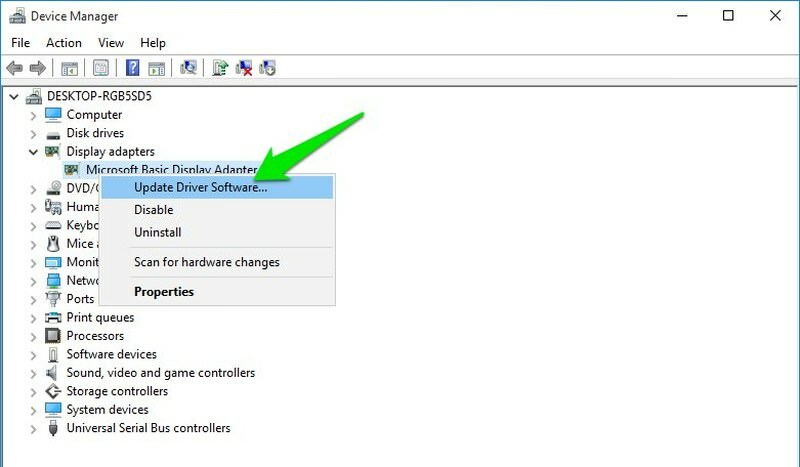 Here, right-click on a driver and select Update driver to update it. Although unlikely, but if your Windows Registry is bloated and haven’t been cleaned for a long time, then it might conflict with programs. You can clean it using a third-party Registry cleaner app to get rid all the junk and maybe remove conflicting entries in the process. I recommend Wise Registry Cleaner for its added Registry defragmentation option, although CCleaner’s built-in Registry cleaner does a fine job as well. Important note: Before running any of these cleaning tools, make sure you create a backup of the registry. Any wrong changes to the registry could make your system unstable. A backup will ensure you easily recover if something goes wrong. A malware or virus infection can also stop apps from responding. Scan your PC with a good antivirus program to ensure no viruses are affecting the app. I recommend Avast’s free antivirus that has a powerful scan and ability to detect application behavior for virus infection. Install the app and run a full system scan to get rid of any virus that may be stopping the app from responding. In case the app that’s hanging is a Windows 10 built-in app – such as the calculator app – then you can re-register it to fix errors. To re-register apps, you need to run a Powershell command. When all the apps are re-registered, restart the PC and see if the Windows app is working or not. If the app has a data written on any bad sectors on the hard drive, then it could make it unresponsive. A chkdsk scan will search for bad sectors in a drive and automatically relocate the data to make it readable again. 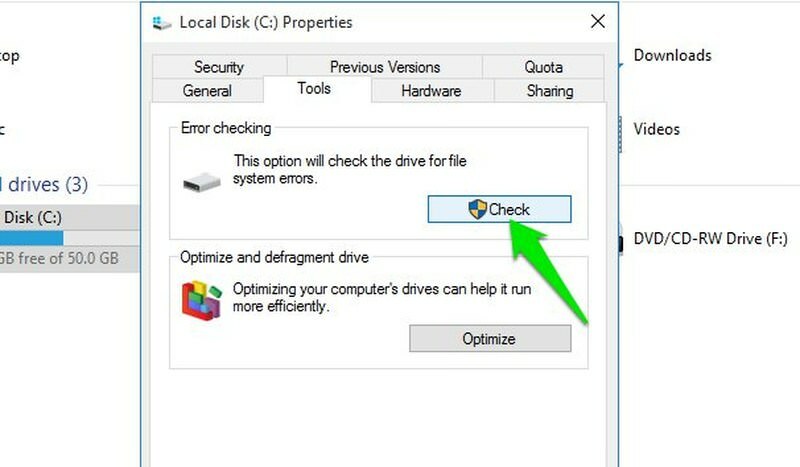 To run the scan, go to This PC and right-click on the drive that you want to scan. Here select Properties from the context menu. Now move to the Tools tab and click on the Check button under the Error-checking section. This will run a disk scan that will automatically repair errors and bad sectors. Repeat this process on all of the drives to fix them. If the app you are trying to fix is from Windows Store, then you can reset the store cache in an attempt to fix problems with the Windows Store. 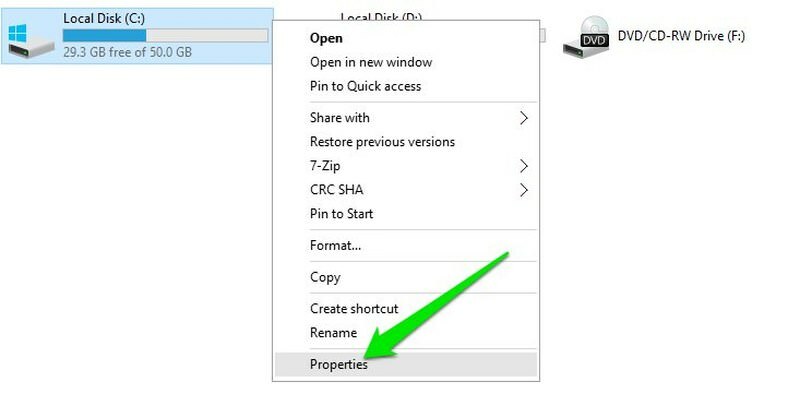 To do so, right-click on the Start menu icon and select Command Prompt (Admin) from the list. In the command prompt, type wsreset.exe and press enter. This will reset the store cache and solve problems with store apps. If the app was working fine but stopped responding just recently, then you can restore the system to a date when it was working fine. 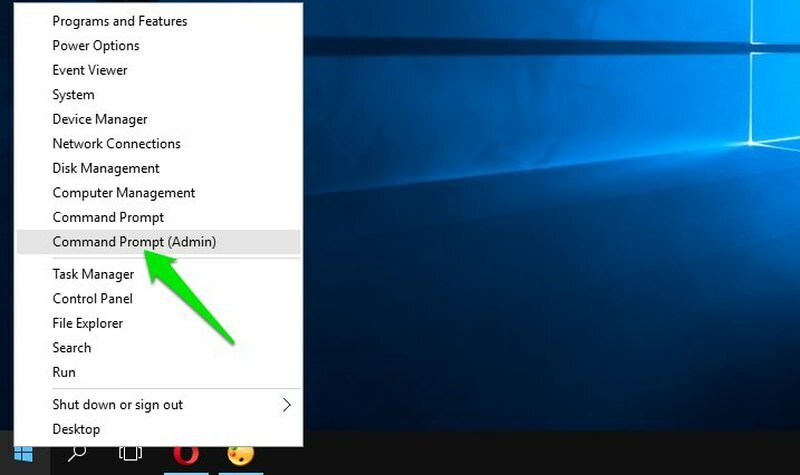 If you have automatic system restore enabled in Windows 10, then there must also be a restore point prior to the time when the app got affected. 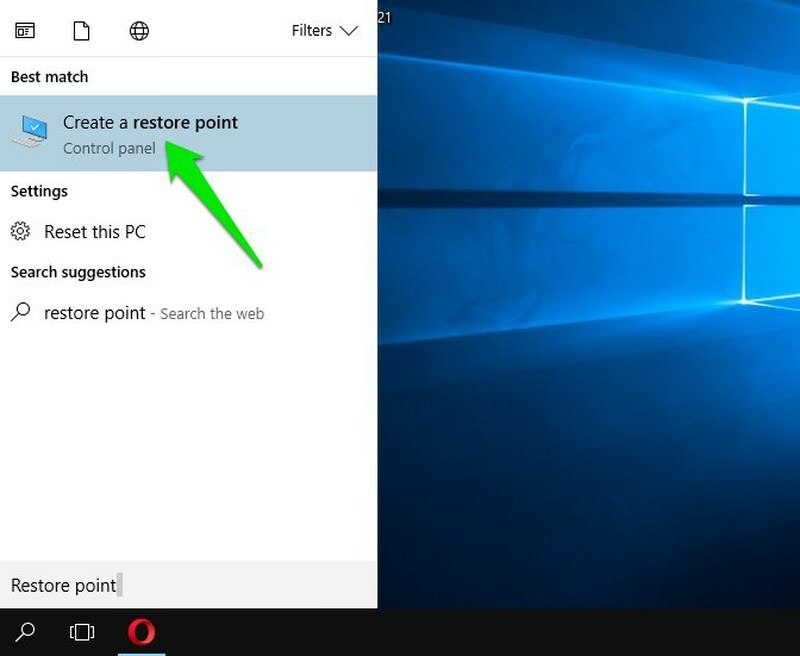 In the Windows 10 search, type Restore point and select "Create a restore point" from the search results. System Properties will open up. Here select the drive containing the not responding app and click on the System Restore button. 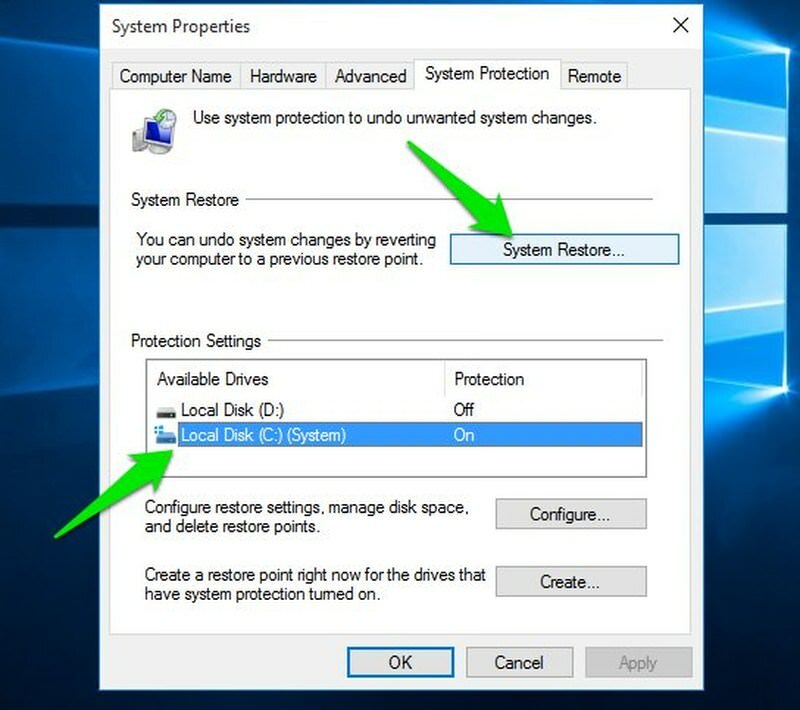 The system restore wizard will open up, which you can follow to look for a previous restore point and restore to that state. If it’s possible for you to reinstall the app without deleting any important data, then do so. Uninstalling and reinstalling the app can solve many configuration related problems and make the app responsive again. Before reinstalling, I will recommend you to uninstall the app using a third-party uninstaller such as IObit uninstaller. This will ensure all the data of the app is deleted, including registry entries that might be conflicting. One of the above solutions should solve the quandary and let you use the app. If you are seeing the not responding message on an app that you have just installed, then there is a good chance it’s a compatibility issue. However, if the app has suddenly stopped working, then there must be a program conflict or a corrupt file. Do let us know in the comments if you managed to fix your app and which method worked for you.